Handy Quartet : www. 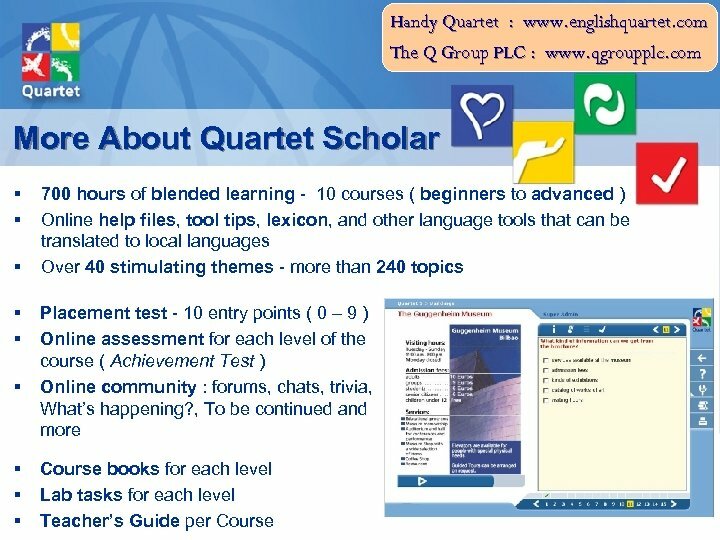 englishquartet. 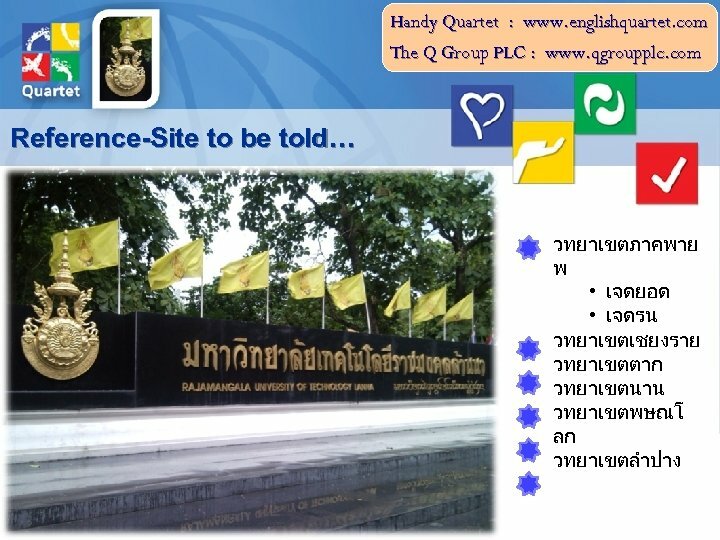 com The Q Group PLC : www. qgroupplc. 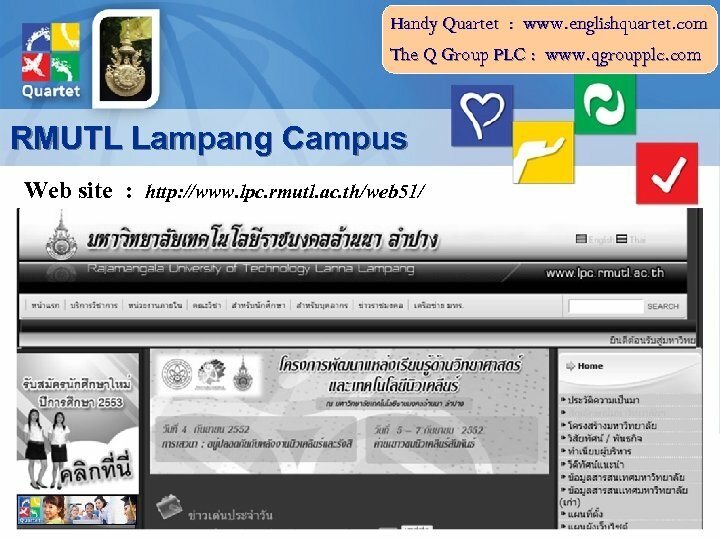 com The Q Group Plc § Founded in 1993; focuses on innovative language learning solutions and technologies. 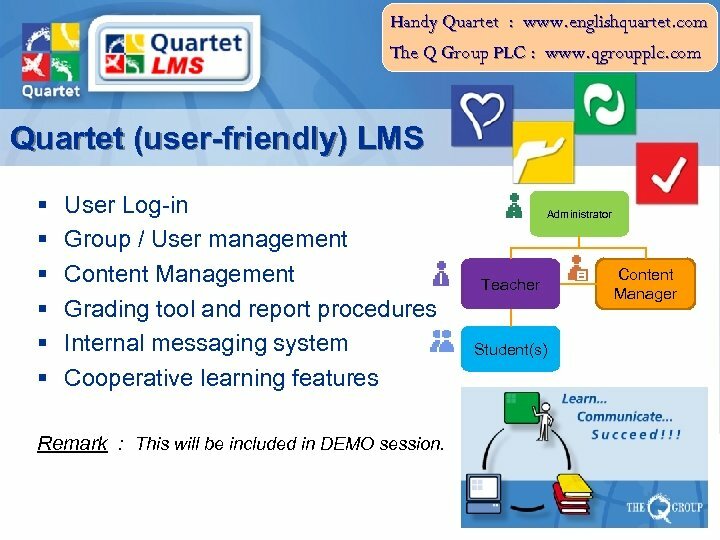 § World leader in language education market : Courses and solutions implemented and localized in over 40 countries worldwide. 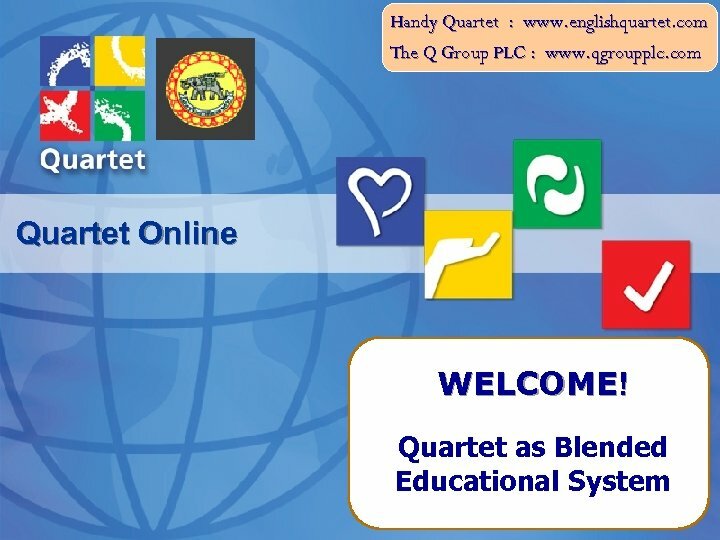 § Outstanding customer base § Focus on ESL/EFL in 2 major business lines § EM Development (Co-Publishing) § Quartet Method § Global coverage by network of business partners. Handy Quartet : www. englishquartet. com The Q Group PLC : www. qgroupplc. 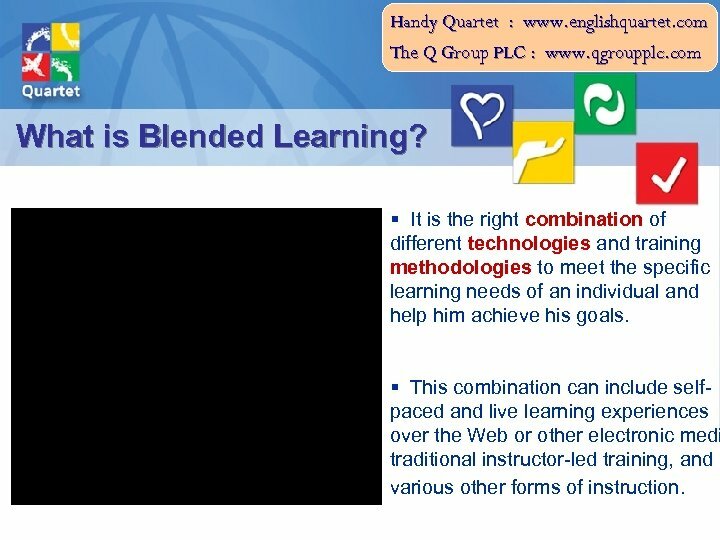 com What is Blended Learning? § It is the right combination of different technologies and training methodologies to meet the specific learning needs of an individual and help him achieve his goals. 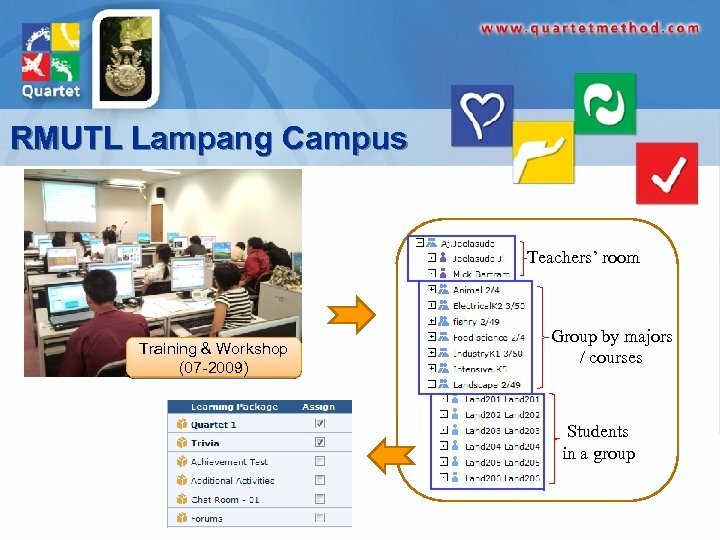 § This combination can include selfpaced and live learning experiences over the Web or other electronic medi traditional instructor-led training, and various other forms of instruction. Handy Quartet : www. englishquartet. 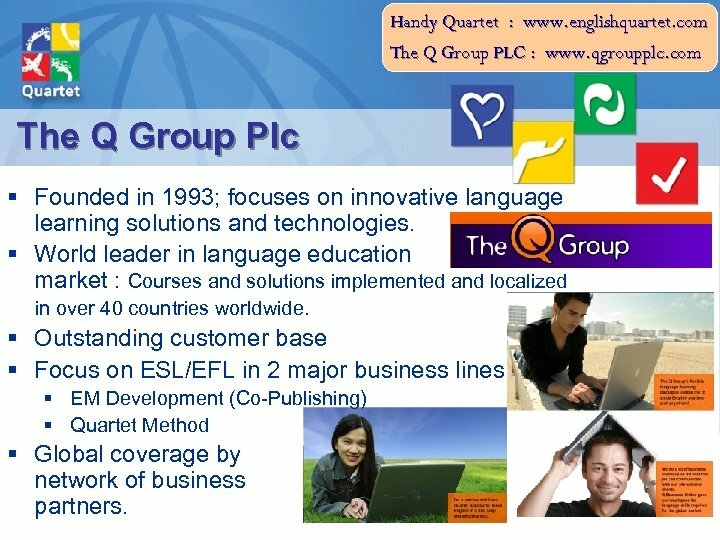 com The Q Group PLC : www. qgroupplc. 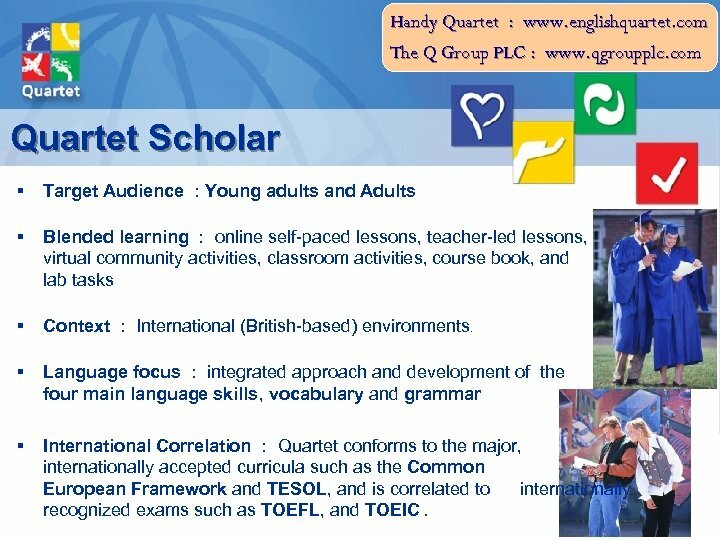 com Quartet Scholar § Target Audience : Young adults and Adults § Blended learning : online self-paced lessons, teacher-led lessons, virtual community activities, classroom activities, course book, and lab tasks § Context : International (British-based) environments. 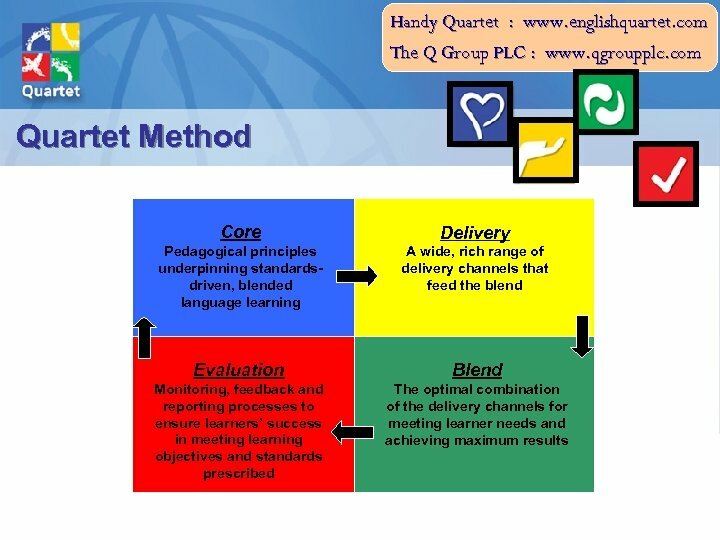 § Language focus : integrated approach and development of the four main language skills, vocabulary and grammar § International Correlation : Quartet conforms to the major, internationally accepted curricula such as the Common European Framework and TESOL, and is correlated to internationally recognized exams such as TOEFL, and TOEIC. P a r t y Deshalb (Üb.